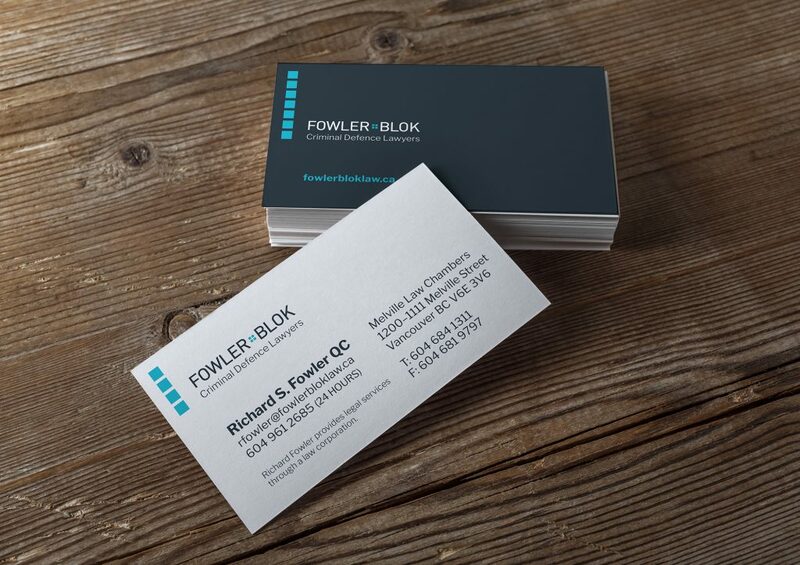 Fowler Blok, Criminal Defence Lawyers: new brand, new digs, new website. Fowler and Blok are Criminal Defence lawyers based in Vancouver, BC. The firm, lead by Richard Fowler, Q.C. 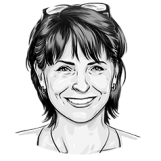 and Karin Blok, is the latest iteration of a criminal law boutique that has a 20-year history of representing clients at trial and on appeal in BC, the Yukon and the Supreme Court of Canada. The firm has been involved in some of BC’s highest-profile criminal cases, and its lawyers are firmly committed to working to improve access to justice. Given the firm’s evolution, the first step was to focus on developing a new brand identity and colour palette. However, there was a twist. Their new office space was shared space with a number of other criminal law firms, and they were interested in showcasing the shared space as a law chambers. 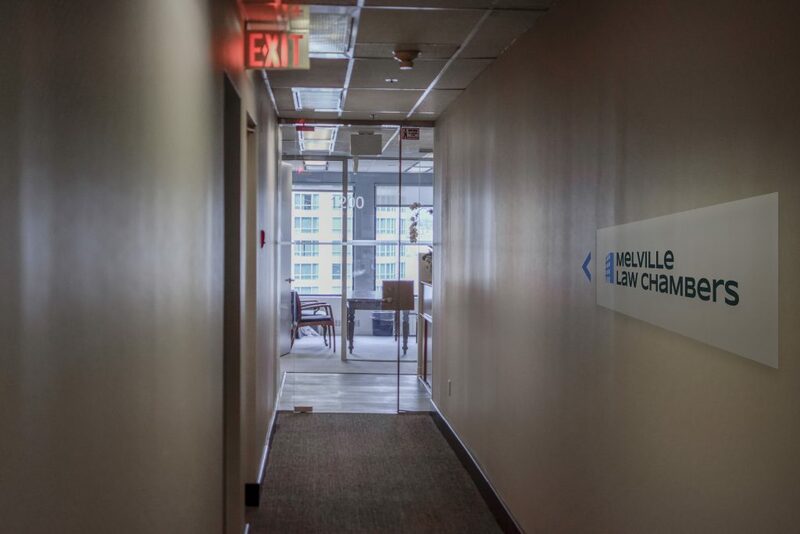 The space happens to be on Melville Street in Vancouver, so the moniker Melville Law Chambers was adopted. We then set about designing a brand identity for this entity that included the logo and artwork for their building and reception signage. Once the Melville Law Chambers identity was settled, we made sure that it, and the Fowler Blok brand, would complement each other. We did this by using variations on elements from the unique architecture of the building in both identities. Fowler Blok is also a proponent of leveraging innovative legal technology in the courtroom. In keeping with this philosophy, we developed a new responsive website. Online technology is changing at a rapid pace. A website designed five years ago is typically outdated today particularly as Smartphone use continues to increase at a rapid pace. The rise of mobile has set new rules for layouts and interactivity elements for websites. 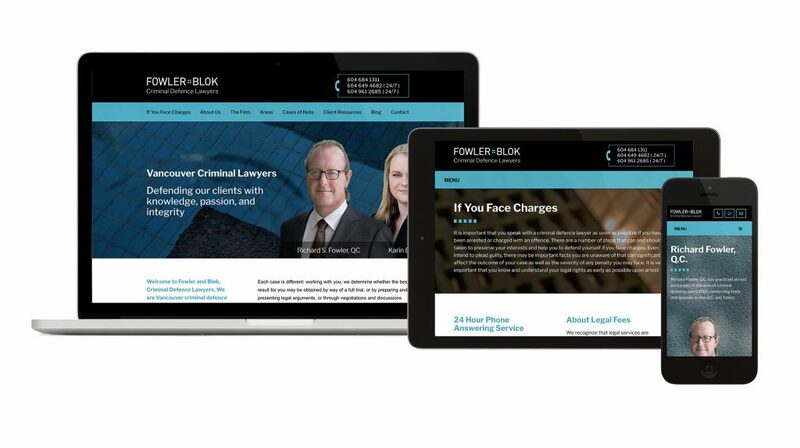 The new fowlerbloklaw.ca website has been developed in accordance with these benchmarks and features a responsive design, adapting for optimal viewing on desktop computers, laptops, tablets and smartphones. The uncluttered design and straightforward navigation focus on Flower Blok’s expertise and the key element for a criminal law firm – 24/7 contact information. Unique design elements on this site included subtle graphics inspired by the logo itself, and we used an eye-catching cinemagraph at the top of the homepage. Cinemagraphs are a hybrid between a video and a photograph where only a small area of the whole image shows the original movement; the rest is static. Since motion is instantly registered by the eyes, the user’s eye is drawn to the top of the page (and the navigation) better than sites with static images. In addition to a responsive design we made sure the site hosting was set up with an SSL. This feature is becoming necessary as web browsers move toward a “secure by default” experience for users. 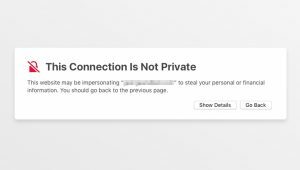 Https is quickly becoming mandatory for professional service providers who want clients to feel secure while browsing their websites. Soon users will see a notice in Chrome or Safari or Firefox warning them if a website isn’t secure (see below). People who are not tech savvy are likely to find this disconcerting. Great lawyers, a new space, a new name, and a new responsive website, we are liking the next wave of this tenacious, criminal law boutique. You can take a look at the new site at fowlerbloklaw.ca.